Lauren Grodstein's "Our Short History" is most hard-hitting in its essential truth about what it means to be a dying, or even just an aging woman in the pressure cooker that is American culture, where youth and vitality are valued above all else. It is the most recent novel by the associate professor of English at Rutgers University – Camden and mother of one. New Jersey author Lauren Grodstein’s Our Short History is the novel America needs right now. And not just because it’s political. But also because it’s apolitical. It is a story about finding humanity on the “other” side, whichever side that may be. 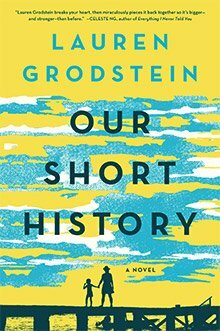 I’ve been a fan of Grodstein’s work for the past decade because, while each of her novels is a crescendo, the next is somehow even more intense. I admire the way her characters transcend gender. Lauded by O: The Oprah Magazine, there is nothing “chick lit” about Grodstein’s work. In fact, her first three novels are written in the voices of male protagonists. I recommend anyone read them all. The book hit shelves on March 21. In her latest, Grodstein takes on the voice of 43-year-old Karen Neulander, a Democratic political consultant who’s dying from late-stage ovarian cancer and preparing to leave her young son, Jacob, behind. If those circumstances weren’t dire enough, Jacob’s once absent father re-enters the picture and muddies it up. Dave, who swore he never wanted children and condemned Karen’s pregnancy, didn’t even know he had a son – until Jacob asked his mother to reach out through that painful wormhole that is Facebook. When Dave discovers he is a father, his grandiose efforts to connect with Jacob terrify Karen, who was once her son’s entire world, but now fears becoming a frail, distorted memory. So she writes Jacob a book to document their short history. It is a loving, sincere, often grueling account that refuses sentimentality. Karen lays it all on the table: the humiliation of her disease, her love/hate relationship with Jacob’s father, and the importance of her personal politics, which are often complicated by her work for a philandering city council candidate whose opponent Karen finds much more palatable. Our Short History is most hard-hitting in its essential truth about what it means to be a dying, or even just an aging woman in the pressure cooker that is American culture, where youth and vitality are valued above all else. 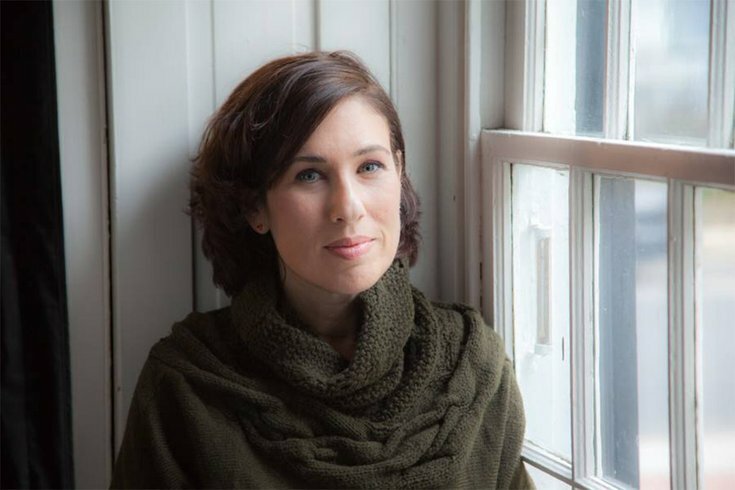 Grodstein, an associate professor of English and director of the master of fine arts in creative writing program at Rutgers University – Camden, is the mother of a young son herself. PV: What was your inspiration to write the novel? LG: A few things got me thinking about and then writing this book. The first was that my sister-in-law’s mother, a woman I was incredibly fond of, was dying of ovarian cancer when I met her. But she was still spunky, still funny, still whip-smart. Cancer slowed her down sometimes but it never took away who she was. And oh, how she worried about her daughter - what it would mean for her to get married, have children, and grow older without her. I couldn’t meet this woman and know her story without wanting to write it. The other, more mundane but even more powerful thing for me was that I wanted my son to know how much I love him. But fiction is my medium, and so this is the way I did it. One day I hope he reads the book and knows that I could never have written about Karen’s love for Jake if I didn’t love him so desperately. PV: How was the writing of OSH influenced by the political atmosphere in today's America? LG: I wrote this book way before Trump; I started it in 2012, around the time of Obama’s re-election. I thought that was an interesting time, politically, but then again I’ve always been interested in politics in a sort of amateur way. Trump’s election, of course, changed that. Now I’m interested in politics in a life-or-death, “What is happening and how do we make it stop” way. I’m not certain I would have written a story about a campaign consultant if I started the book again today. It’s just too horrifying. PV: How did you research your protagonist's career as a political consultant? LG: I’m blessed with many interesting friends. One of them – my college roommate and still a dear friend – worked for [former New York Mayor Michael] Bloomberg in City Hall and was an absolute encyclopedia of campaign info. She introduced me to the right people, who then introduced me to the right terms, the right game plans, the right attitudes a political consultant like Karen would have. There was so much I didn’t know! How much money she’d make, for instance, or the kinds of resources that would be poured into the campaigns she’d run. I loved writing about her job and I loved talking to people who do her job in real life. PV: Your previous novels are written from the perspective of male protagonists; how did the experience of writing a female protagonist compare to your past work? LG: I never set out to write a character whose gender is one thing or another. I set out to write a specific character, and if that character happens to be male, that’s the one I write, and if she’s a woman, I write a woman. Writing Karen wasn’t easier or harder than writing other protagonists I’ve created, because I’ve felt them in my bones just as strongly as I felt her. And even though she’s a woman, her experiences are so different from mine, from her parenting (she’s a single mom in Manhattan, and I’m a married one in the burbs) to the state of her body. I had to imagine her just as deeply as I’ve imagined my male characters. I couldn’t rely on my own experiences. PV: Even while she’s dying, Karen feels pressure to constantly apply makeup and wear a wig, which seems unique to the female experience of terminal illness. What are your thoughts regarding the pressure that sick people (especially women) feel to appear well? LG: It’s very important to Karen that she doesn’t end up marginalized (even though she does, again and again) and so she relies on what she calls her “healthy drag,” the wig and the makeup and the decent clothes, so that people will still include her in the land of the vital. I think this is an exaggerated form of what many women my age and older do all the time – Botox, and competitive exercising, and SPANX, and highlights, and all the rest of that (and believe me, I’m not immune). We need to keep looking as young as possible because we know that in our culture older women are often marginalized. I work out much harder than I did when I was younger, take more care with my makeup, and frankly look better than I did in my 20s, in some ways, because suddenly it matters in a way it didn’t before. It’s like, if I want to be paid attention to (and I do!) I should have the wisdom of a 60-year-old and the body of a 20-year-old. PV: OSH addresses facing death without faith in God. As more Americans embrace this humanist worldview, how do you think that affects our attitude toward dying? LG: Well, the only time in my life where I wished I believed in God was when my grandmother was killed by a car crossing the street. I loved her so much and just couldn’t believe she was taken from me like that, in a snap, in a second. I really wanted to imagine her somewhere in the heavens, looking down on me. Even more than that, I wanted to think that one day I’d see her again. In my heart that felt ridiculous, but that sentimental urge to believe in the supernatural was hard to get over. I was just so overwhelmed by grief. But as time passed, and the shock lessened, I also felt great comfort in the idea that nature has its own rules, and that life – if you’re lucky, like my grandmother was – life runs its course over many years, and then ends, to be replaced by new life. My grandmother is gone, but she has six great-grandchildren, and more on the way, and her life is renewed in theirs. I guess what I mean is that Karen’s life will end, but her life will continue in her son, Jake. You don’t need a supernatural God to see that there is no greater blessing.